1. 王新房. 超声心动图学. 第 4 版. 北京: 人民卫生出版社,2009. 2. 刘延玲, 熊鉴然. 临床超声心动图学. 第 3 版. 北京: 科学版社,2015. 3. Cheitlin MD, Alpert JS, Armstrong WF, et al. ACC/AHA Guidelines for the Clinical Application of Echocardiography. A report of the American College of Cardiology/American Heart Association Task Force on Practice Guidelines (Committee on Clinical Application of Echocardiography). Developed in collaboration with the American Society of Echocardiography. Circulation, 1997,95(6): 1686-744. 4. Cheitlin MD, Armstrong WF, Aurigemma GP, et al. ACC/AHA/ASE 2003 guideline update for the clinical application of echocardiography--summary article: a report of the American College of Cardiology/American Heart Association Task Force on Practice Guidelines (ACC/AHA/ASE Committee to Update the 1997 Guidelines for the Clinical Application of Echocardiography). J Am Coll Cardiol, 2003, 42(5): 954-70. 5. 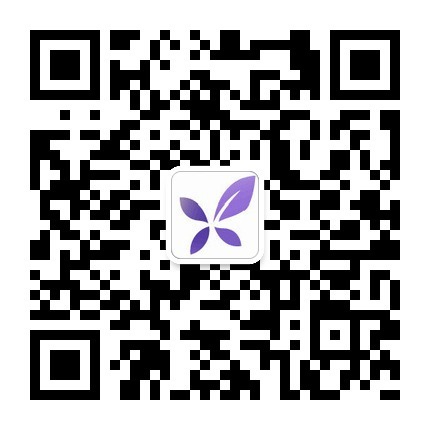 中华医学会超声医学分会超声心动学组. 中国心血管超声造影检查专家共识. 中华超声影像学杂志, 2016, 25(4): 277-293. 6. 张贵灿. 现代超声心动图学一基础与临床. 第 1 版. 福州：福建科技出版社, 2003. 7. Galie N, Torbicki A, Barst R, et al. Guidelines on diagnosis and treatment of pulmonary arterial hypertension. The Task Force on Diagnosis and Treatment of Pulmonary Arterial Hypertension of the European Society of Cardiology. Eur Heart J, 2004, 25(24): 2243-2278. 8. 中华医学会心血管病学分会, 中华心血管病杂志编辑委员会. 肺动脉高压筛查诊断与治疗专家共识. 中华心血管病杂志, 2007, 35(11): 979-987. 9. O'Gara PT, Kushner FG, Ascheim DD, et al. 2013 ACCF/AHA guideline for the management of ST-elevation myocardial infarction: a report of the American College of Cardiology Foundation/American Heart Association Task Force on Practice Guidelines. Circulation, 2013,127(4): e362-425. 10. Roffi M, Patrono C, Collet JP, et al. 2015 ESC Guidelines for the management of acute coronary syndromes in patients presenting without persistent ST-segment elevation: Task Force for the Management of Acute Coronary Syndromes in Patients Presenting without Persistent ST-Segment Elevation of the European Society of Cardiology (ESC). Eur Heart J, 2016, 37(3): 267-315. 11. Yancy CW, Jessup M, Bozkurt B, et al. 2013 ACCF/AHA guideline for the management of heart failure: executive summary: a report of the American College of Cardiology Foundation/American Heart Association Task Force on practice guidelines. Circulation, 2013,128(16): 1810-52. 12. 中华医学会心血管病学分会, 中华心血管病杂志编辑委员会. 中国心力衰竭诊断和治疗指南 2014. 中华心血管病杂志,2014, 42(2): 98-122. 13. McMurray JJ, Adamopoulos S, Anker SD, et al. ESC Guidelines for the diagnosis and treatment of acute and chronic heart failure 2012: The Task Force for the Diagnosis and Treatment of Acute and Chronic Heart Failure 2012 of the European Society of Cardiology. Developed in collaboration with the Heart Failure Association (HFA) of the ESC. Eur Heart J, 2012, 33(14): 1787-1847.